This has to be the ultimate tail light for any racing drone. 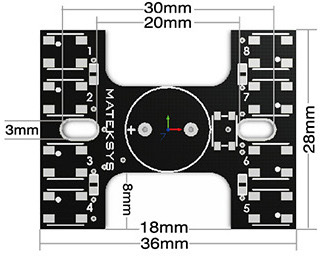 The Matek H type tail light combines eight high-powered programmable LEDs alongside a loud buzzer into a well designed PCB. The unit is unique in that it supports dual control modes, it can be controlled by your flight controller or from your radio transmitter as well. 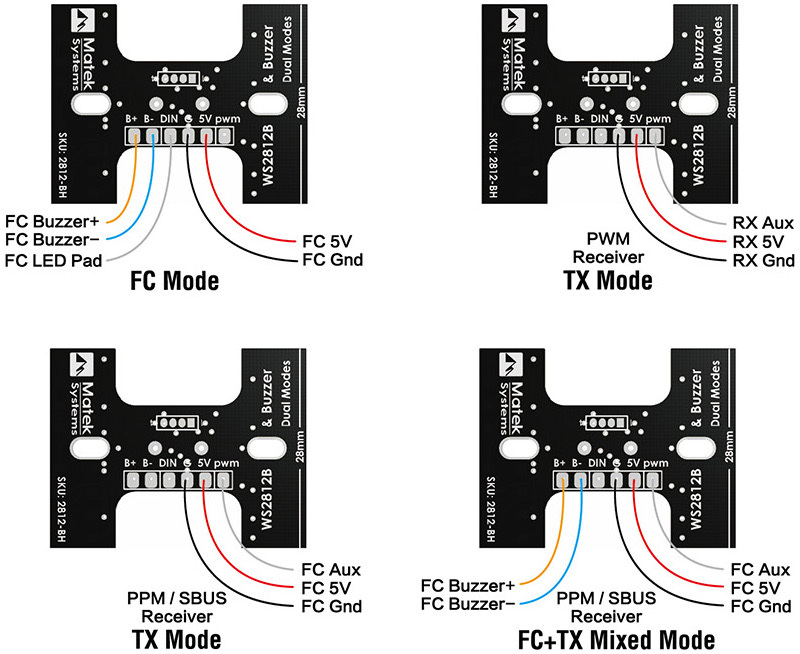 If you control it via radio (support for PWM/PPM/SBUS), you have the option of 7 colours, 5 different flashing modes as well as the remote activation of the buzzer / lost model finder. 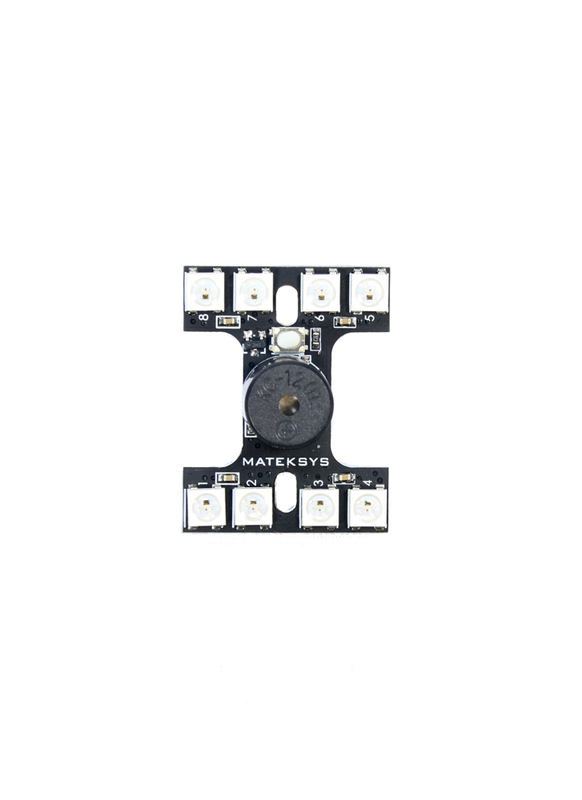 If you set it up to be controlled from your FC (CleanFlight/Betaflight), you can configure the board to indicate flight data such as; battery warnings, flight modes, thrust levels and even RSSI strength. For example, you could program a fading pattern from white to red as you throttle up, while the integrated buzzer could be setup as a low voltage alarm or a lost model alarm. The board itself has been designed for racing drones, so it's the perfect size and shape. It will fit on the tail of most racing drones, while its H shape allows it to be installed around an XT60 connector or FPV antenna. The board is easily attached, using something as simple as cable ties.